Azeddine Houari, Dhaker Abbes, Antoine Labrunie ; Benoit Robyns, 17th European Conference on Power Electronics and Applications (EPE'15 ECCE-Europe), Geneva, 2015. 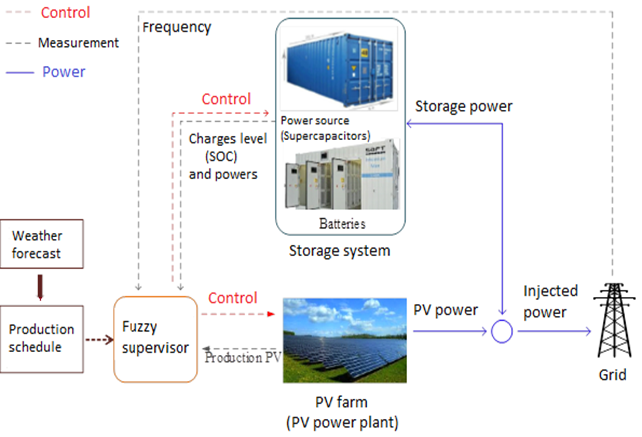 In this paper, a photovoltaic system with super capacitors and batteries hybrid storage connected to the grid has been studied. A smart supervision algorithm based on fuzzy logic has been successfully developed. In addition, contribution of storage hybridization on batteries longevity has been proved using rain-flow cumulative damage method.